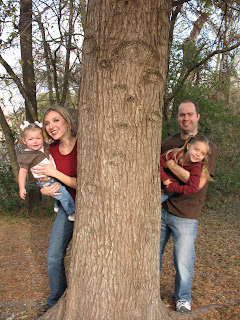 Our wonderful friend took some family pictures at Pflugerville Park for us this past week. I think the total session lasted about 5 minutes. It was really hard to keep kids happy when they were looking at a playground and couldn't go play on it. We got a few with smiles though. holy cute family!!! i love it and you! I love this picture. Dan is such a lucky man to be surrounded by such cute girls. Adorable pictures! Your family is soo cute!